Many people know that when President Obama signed the American Taxpayer Relief Act on January 2, 2013, the estate tax exemption amount was permanently increased to $5.0 million dollars, indexed for inflation. This new act set the tax rate for an estate over this amount at a staggering 40%, which was much better than a $1.0 million exemption and 55% top rate which we would have had had the law not been changed. While the increased exemption amount is good news for many families, not everyone is resting easily. Many people believe the exemption amount will be significantly reduced in later years, as President Obama has proposed in the budget he submitted to Congress. 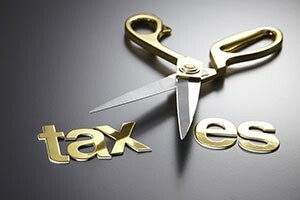 What if the estate tax exemption is reduced? Strategies for eliminating or reducing estate taxes will be a priority not only for the wealthy but for anyone who has significant assets. With retirement plans, homes and life insurance assets included in the estate, many beneficiaries could end up paying a significant amount of their inheritance in taxes. At Morris Hall, PLLC, our lawyers offer a broad range of planning services to minimize or eliminate estate taxes. With devices such as AB and ABC trusts, irrevocable life insurance trusts (ILITs), family limited partnerships (FLPs), grantor retained annuity trusts (GRATs), qualified personal residence trusts (QPRTs) and charitable remainder trusts (CRTs), you can remove assets from the taxable estate. Other changes made by the American Taxpayer Relief Act require new planning strategies. The new law makes permanent a portability feature that allows the exemption to pass from one spouse to the surviving spouse. For example, if the deceased husband didn’t use the $5 million exemption, that exemption goes to the wife. But you have to be careful to rely on this provision for estate tax planning, though, because the portability feature is only available if the surviving spouse takes certain actions immediately after the death of the first spouse. In addition, it is impossible to know if this portability feature will in the law when you or your spouse passes away. Our lawyers craft AB trusts that will pass the estate plan exemption from the deceased spouse to the surviving spouse even if the portability feature goes away. We also set up ABC trusts, in which the C trust (marital trust) not only reduces estate taxes but also provides additional protection to the spouse. Assets placed in the martial trust, are protected from creditors, long-term care expenses and devastating tax consequences. When creating an AB or ABC trust, it’s essential to properly set up the distribution formula from the B and C trusts to the surviving spouse. Our attorneys have reviewed hundreds AB and ABC trusts and find that many contain errors that could result in a loss of protection for the surviving spouse. To talk to a lawyer at our firm about how to minimize estate taxes, contact us to arrange a consultation with an experienced lawyer today. We have offices in Phoenix, Tucson, Albuquerque and communities throughout Arizona and New Mexico.